Home › Electronics › Juiced Systems Microsoft Surface 2/Pro2 - 4 In 1 Adapter - Sd/Microsd/2X Usb3..
Juiced Systems Microsoft Surface 2/Pro2 - 4 In 1 Adapter - Sd/Microsd/2X Usb3.. DESCRIPTION: The Juiced Systems USB 3.0 Surface 2/Pro2 adapter conforms to your tabletbringing efficiency and functionality together. This unit adds 2x USB 3.0ports, 1 SD memory input, and 1 Micro SD input. 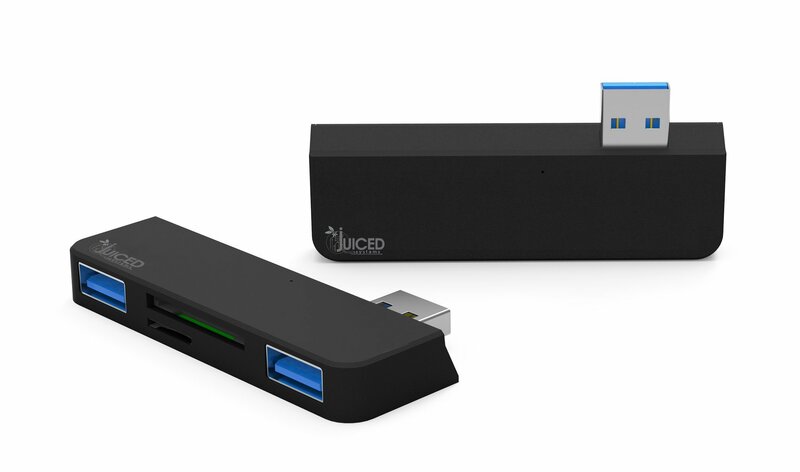 Compatible: Surface Pro Surface Pro Other Models Available: Juiced Systems 4 in 1 Surface Pro 3 - 4 in 1 USB 3.0 Version = B00SVFUB5A Juiced Systems Surface Pro 3 USB HUB Adapter = B016UE239K All Juiced Systems products are backed up with a 1-year warranty.